ISLAMABAD: Prime Minister Imran Khan Friday said that the federal government with cooperation of Pakistan Army would construct a cancer hospital in Balochistan. 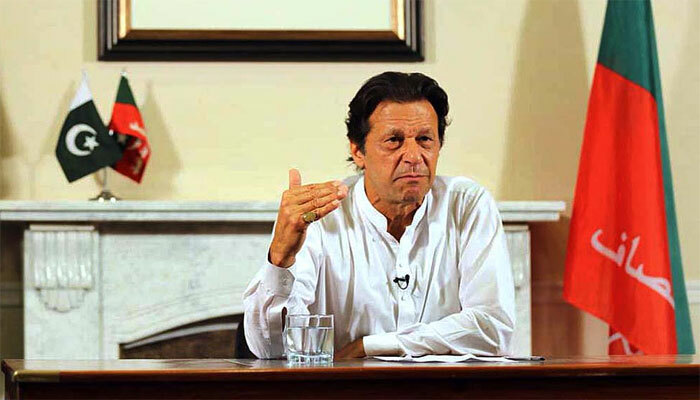 Talking to students of various educational institutions of Balochistan, who called on him here at the Prime Minister Office, Imran Khan said, the provincial government would provide land to the federal government for the hospital and in this regard a team of the federal government would visit the province very soon. The Prime Minister said he had talked to Chief of the Army Staff, General Qamar Javed Bajwa and the cancer hospital would be built with cooperation of the army. To various queries of the students, the Prime Minister said Balochistan was a spread out area and it was very difficult to handle it from a centralize system, adding that an effective local government system would be introduced in the province as it was the best option for resolution of various problems at the gross-root level. The federal government, he said was going to start one of the biggest job provision programme in the history of Pakistan by constructing five million houses in the entire country. He said water was one of the biggest problem of Quetta and added that the federal government was also working on various water projects in the province. He said the federal government would upgrade Mangi dam to meet water supply requirement of Quetta city and adjoining areas. The Prime Minister said the dam would not only provide clean drinking water but also raise water table in the area. The Prime Minister said Balochistan was rich of mineral resources and only four minerals in the province were considered to be worth of $460 billion. Prime Minister Imran Khan urged the students to fully concentrate on studies, broader their thinking and avoid selfishness. He said why the Pakistani nation loved their Quaid because founder of the nation Quaid-i-Azam Muhammad Ali Jinnah never struggled for his self but his entire efforts were for Muslims of the Sub-Continent. He said Quaid-i-Azam was a great human being.